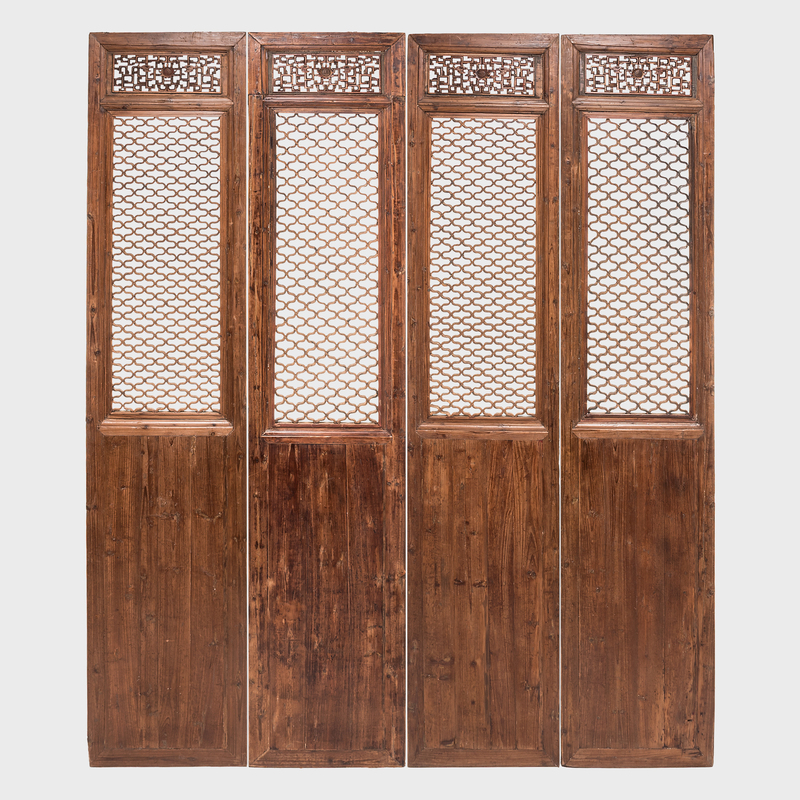 W: 39.0" D: 1.5" H: 36.5"
This lattice window panel likely originated in an aristocratic Chinese home with neutral and balanced interiors. 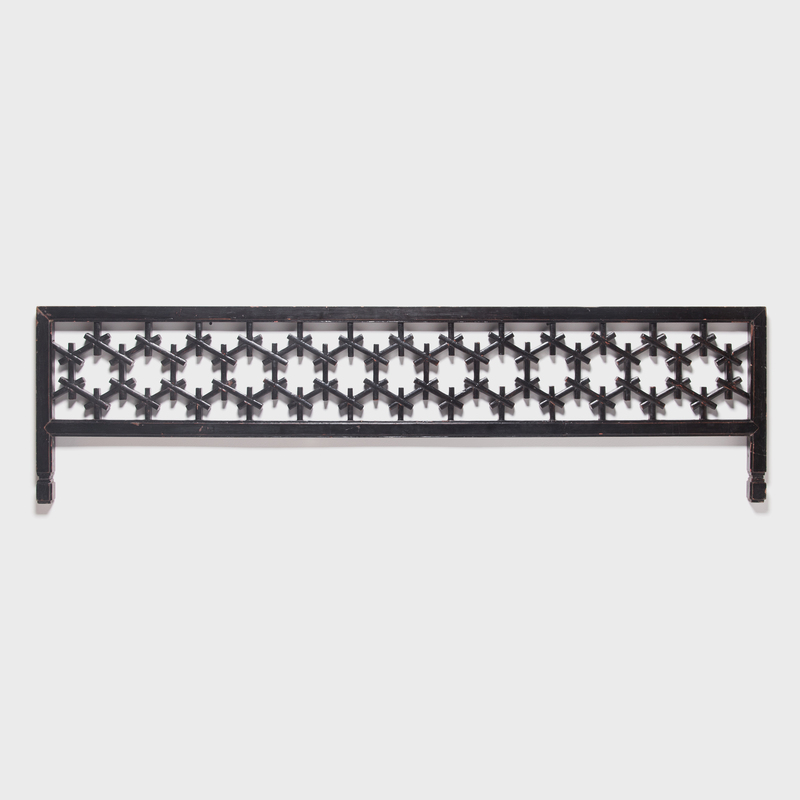 The geometric lattice pattern is linear and open, and was designed originally to allow light and air into a room while maintaining privacy. 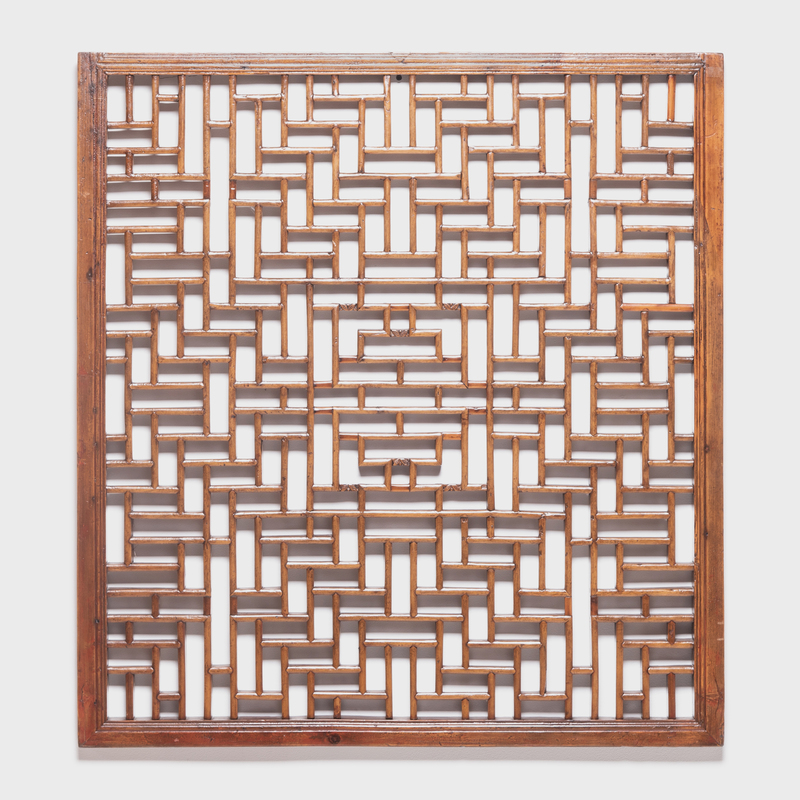 Creating lattice was a puzzling task, created by the precise interlocking of long and short pieces of carved wood. 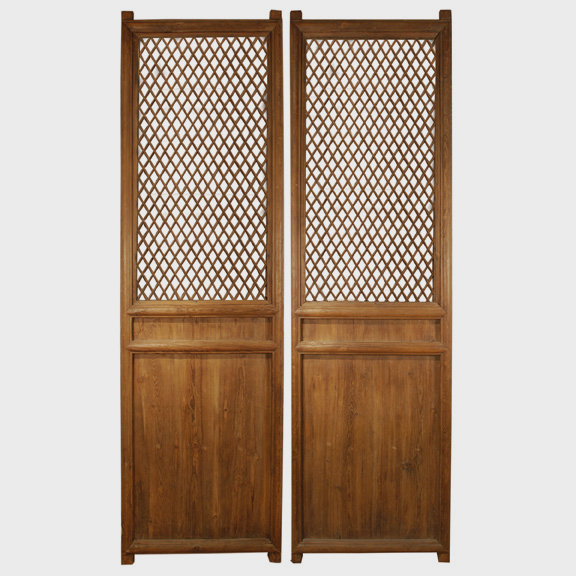 The backs of the open panels are flush, with less dimension than the front. 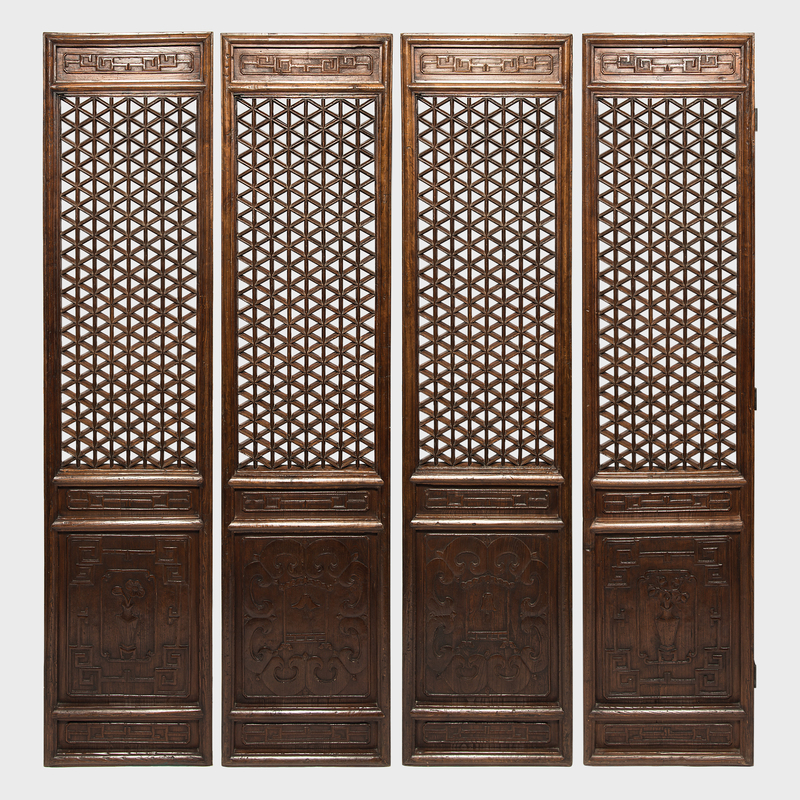 This panel is patterned with a stylized depiction of the Chinese character "fu," meaning wealth and abundance, and some of the wooden links bear intricate carvings of leaves and petals.